Do I need an attorney for my car crash claim? What if I was partially at fault in the accident? What if the other driver did not have automobile insurance? We give detailed answers to these questions and much more in our motor vehicle frequently asked questions. How long does it take to settle a car accident case in Louisiana? After suffering car accident injuries caused by another driver's negligence, it's understandable to be concerned about resolving your personal injury claim as soon as possible. However, rushing to settle your case is not always in your best interests. Most car accident cases settle out of court. The extent of your injuries. It is advisable to wait until you have reached maximum medical improvement to settle your case, which takes longer for more serious injuries. Whether you have been left permanently disabled. If your injuries have left you with a disability that will require ongoing medical care or affect your ability to return to work, your case will become significantly more complex. Liability issues. If one driver is clearly at fault for the accident, a case may be able to be resolved fairly quickly. If liability is not obvious or more than one driver is at fault, the case may take longer to resolve. Your willingness to accept an offer. Your case ends as soon as you accept an offer from the insurance company. Offers made early in the process are often lower than what you may be entitled to receive. Some people accept a lowball offer because they are worried about finances or they are eager to put the matter behind them. This is not advisable. Before you accept any car accident settlement offer, it can be advantageous to discuss the terms of the settlement with your attorney. An experienced personal injury attorney can help you evaluate the worth of your case to determine if the settlement provides adequate compensation for your medical expenses, lost wages, pain and suffering, and other harms and losses. 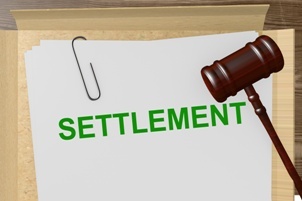 Once you have accepted a car accident settlement, you are not allowed to ask for more money later on. This means it is vital that you have someone available to advocate for your interests throughout the settlement process. Contact us today or call us at (985) 590-6182 for a free and confidential consultation from our office located in Covington and serving all areas of the Northshore including St. Tammany, Tangipahoa, and Washington Parish (Covington, Mandeville, Madisonville, Slidell, Hammond) and the New Orleans metro! If I file a lawsuit, does that mean I have to appear in court? Not necessarily. Even if you file a lawsuit, the other party may still settle with you at any time during the process, without the need for a trial. However, when we file a lawsuit, we prepare for trial. Does the other person's insurance company have to pay my medical bills? The other person's insurance company is not obligated to pay your medical bills "as you go." This means that you or your health insurance company are responsible for paying your medical providers as services are rendered. However, the medical bills are part of your claim against the at-fault party and their insurance company moving forward. Once a settlement or resolution is made with the at-fault insurance company, your medical bills should be part of that resolution. An experienced personal injury lawyer should make sure your medical bills are accounted for in any settlement. If you have a maritime case, your employer may be responsible for paying your ongoing medical bills. I'm worried about losing my job as a result of a car wreck. What should I do? Your lost wages, time you miss to go to the doctor, and inability to continue working may form part of your claim against the at-fault party. It is important to document any time you miss from work. While we can't control your employer's actions, we can provide them with information from your doctor concerning your limitations and request proof from them regarding your lost wages. If you have short-term or long-term disability insurance, we can help you navigate through the process of filing a claim. Each person's situation is unique. We can help you through this process. Should I speak to the insurance adjuster calling me after an accident? We do not recommend that our clients speak directly with the adjuster for the other party's insurance company following an accident. Insurance adjusters are typically trained to ask you questions which benefits the insurance company and not you. Any statement you make may be recorded and may use against you later. Do I have a deadline for filing a claim for my personal injury case? In Louisiana, an individual has one (1) year from the date of injury or damage within which to file suit against the responsible parties in a personal injury case. If a claim is not fully resolved before that time, a lawsuit must be filed in order to preserve the claims of the injured party. Otherwise, your claim is lost forever. I don't know if I have a claim. What should I do? An experienced attorney can evaluate your claim and let you know if you have a case. I've been in a car wreck. What should I do? Take pictures of your injuries. We can help you with your car wreck case, from start to finish. Does the insurance company have to provide me with a rental car? Yes. If the other person is at fault and they have insurance, you are entitled to a rental car if your car will require a certain number of days to repair. We can help you through this process. What do you charge in a personal injury case? For personal injury cases, we charge Attorney's fees based on a percentage of the gross amount recovered on your behalf. Our costs are also charged out of the gross amount recovered. If you don't get compensated, we don't get paid. Located in the small Northshore town of Covington, Louisiana, our office is convenient to residents and visitors of St. Tammany Parish and all the surrounding parishes. If you can’t come to our office, we will come to you! Fill out the contact form below and our personal injury attorney will be in touch with you shortly to discuss your case.